You can pledge online or print a pledge sheet and fill it out at home. Pledge Online by Clicking HERE. 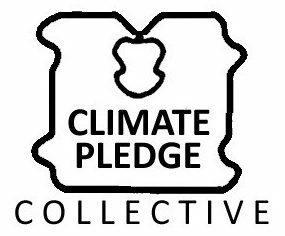 Download your own printable pledge sheet: Pledge Sheet (1-Page) PDF, WORD. The sample pledge below shows the many possible pledges. Pick what works for you, but remember we will all need to make major changes to keep our climate stable. This person has earned 163 points through things they already do and fulfilling pledges. They will get another 64 points if they complete their remaining pledges. They have also chosen a friend or acquaintance to be their sponsor.